In practice risk management is a rational, means-end based process: risks are identified, analysed and then “solved” (or mitigated). Although these steps seem to be objective, each of them involves human perceptions, biases and interests. Where Jill sees an opportunity, Jack may see only risks. Indeed, the problem of differences in stakeholder perceptions is broader than risk analysis. The recognition that such differences in world-views may be irreconcilable is what led Horst Rittel to coin the now well-known term, wicked problem. These problems tend to be made up of complex interconnected and interdependent issues which makes them difficult to tackle using standard rational- analytical methods of problem solving. Most high-stakes risks that organisations face have elements of wickedness – indeed any significant organisational change is fraught with risk. Murphy rules; things can go wrong, and they often do. The current paradigm of risk management, which focuses on analyzing and quantifying risks using rational methods, is not broad enough to account for the wicked aspects of risk. I had been thinking about this for a while when I stumbled on a fascinating paper by Robin Holt entitled, Risk Management: The Talking Cure, which outlines a possible approach to analysing interconnected risks. In brief, Holt draws a parallel between psychoanalysis (as a means to tackle individual anxiety) and risk management (as a means to tackle organizational anxiety). In this post, I present an extensive discussion and interpretation of Holt’s paper. Although more about the philosophy of risk management than its practice, I found the paper interesting, relevant and thought provoking. My hope is that some readers might find it so too. …risk becomes the only backdrop to perceiving the world and perception collapses into self-inhibition, thereby compounding uncertainty through inertia. ..People do not recognize [risk] from the perspective of a breakdown in their rational calculations alone, but because of threats to their forms of life – to the non-calculative way they see themselves and the world. [Mainstream risk analysis] remains caught in the thrall of its own ‘expert’ presumptions, denigrating the very lay knowledge and perceptions on the grounds that they cannot be codified and institutionally expressed. Holt suggests that risk management should account for the “codified, uncodified and uncodifiable aspects of uncertainty from an organizational perspective.” This entails a mode of analysis that takes into account different, even conflicting, perspectives in a non-judgemental way. In essence, he suggests “talking it over” as a means to increase awareness of the contingent nature of risks rather than a means of definitively resolving them. The basic aim of risk analysis (as it is practiced) is to contain uncertainty within set bounds that are determined by an organisation’s risk appetite. As mentioned earlier, this process begins by identifying and classifying risks. Once this is done, one determines the probability and impact of each risk. Then, based on priorities and resources available (again determined by the organisation’s risk appetite) one develops strategies to mitigate the risks that are significant from the organisation’s perspective. The concept [of risk] refers to…the mélange of experience, where managers accept contingencies without being overwhelmed to a point of complete passivity or confusion, Managers learn to recognize the differences between things, to acknowledge their and our limits. Only in this way can managers be said to make judgements, to be seen as being involved in something called the future. The future, however, lasts a long time, so much so as to make its containment and prediction an often futile exercise. Although one may well argue that this is not the case for many organizational risks, it is undeniable that certain mitigation strategies (for example, accepting risks that turn out to be significant later) may have significant consequences in the not-so-near future. So how can one address the slippery aspects of risk – the things people sense intuitively, but find difficult to articulate? Necessity describes forces that are unbreachable but manageable by acceptance and containment—acts of God, tendencies of the species, and so on. In recognizing inevitability, [one can retain one’s] position, enhancing it only to the extent that others fail to recognize necessity. Far more influential, and often confused with necessity, is fortune. Fortune is elusive but approachable. Fortune is never to be relied upon: ‘The greatest good fortune is always least to be trusted’; the good is often kept underfoot and the ridiculous elevated, but it provides [one] with opportunity. Wise actions involve resolve and cunning (which I interpret as political nous). This entails understanding that we do not have complete (or even partial) control over events that may occur in the future. The future is largely unknowable as are people’s true drives and motivations. Yet, despite this, managers must act. This requires personal determination together with a deep understanding of the social and political aspects of one’s environment. …risk management is not the clear conception of a problem coupled to modes of rankable resolutions, or a limited process, but a judgemental analysis limited by the vicissitudes of budgets, programmes, personalities and contested priorities. In short: risk management in practice tends to be a far way off from how it is portrayed in textbooks and the professional literature. Most managers and those who work under their supervision have been schooled in the rational-scientific approach of problem solving. It is no surprise, therefore, that they use it to manage risks: they gather and analyse information about potential risks, formulate potential solutions (or mitigation strategies) and then implement the best one (according to predetermined criteria). However, this method works only for problems that are straightforward or tame, rather than wicked. A primary danger in mistaking a mess for a tame problem is that it becomes even more difficult to deal with the mess. Blaming ‘operator error’ for a mishap on the production line and introducing added surveillance is an illustration of a mess being mistaken for a tame problem. An operator is easily isolated and identifiable, whereas a technological system or process is embedded, unwieldy and, initially, far more costly to alter. Blaming operators is politically expedient. It might also be because managers and administrators do not know how to think in terms of messes; they have not learned how to sort through complex socio-technical systems. It is important to note that although many risk management practitioners recognize the essential wickedness of the issues they deal with, the practice of risk management is not quite up to the task of dealing with such matters. One step towards doing this is to develop a shared (enterprise-wide) understanding of risks by soliciting input from diverse stakeholders groups, some of who may hold opposing views. The skills required to do this are very different from the analytical techniques that are the focus of problem solving and decision making techniques that are taught in colleges and business schools. Analysis is replaced by sensemaking – a collaborative process that harnesses the wisdom of a group to arrive at a collective understanding of a problem and thence a common commitment to a course of action. This necessarily involves skills that do not appear in the lexicon of rational problem solving: negotiation, facilitation, rhetoric and those of the same ilk that are dismissed as being of no relevance by the scientifically oriented analyst. In the end though, even this may not be enough: different stakeholders may perceive a given “risk” in have wildly different ways, so much so that no consensus can be reached. The problem is that the current framework of risk management requires the analyst to perform an objective analysis of situation/problem, even in situations where this is not possible. To get around this Holt suggests that it may be more useful to see risk management as a way to encounter problems rather than analyse or solve them. To enable organizational members to encounter problems, risk management’s repertoire of activity needs to engage their all too human components: belief, perception, enthusiasm and fear. This gets to the root of the problem: risk matters because it increases anxiety and generally affects peoples’ sense of wellbeing. Given this, it is no surprise that Holt’s proposed solution draws on psychoanalysis. Any discussion of psychoanalysis –especially one that is intended for an audience that is largely schooled in rational/scientific methods of analysis – must begin with the acknowledgement that the claims of psychoanalysis cannot be tested. That is, since psychoanalysis speaks of unobservable “objects” such as the ego and the unconscious, any claims it makes about these concepts cannot be proven or falsified. It is precisely because psychoanalysis avoids an overarching claim to produce testable, watertight, universal theories that it is of relevance for risk management. By so avoiding universal theories and formulas, risk management can afford to deviate from pronouncements using mathematical formulas to cover the ‘immanent indeterminables’ manifest in human perception and awareness and systems integration. We understand ourselves not according to a template but according to our own peculiar, beguiling histories. Metaphorically, risk management can make explicit a similar realization within and between organizations. The revealing of an unconscious world and its being in a constant state of tension between excess and stricture, between knowledge and ignorance, is emblematic of how organizational members encountering messes, wicked problems and wicked messes can be forced to think. In brief, Holt suggests that what psychoanalysis does for the individual, risk management ought to do for the organisation. The fact that organizations emerge from contingent, complex interdependencies between specific narrative histories suggests that risk management would be able to use similar conversations to psychoanalysis to investigate hidden motives, to examine…the possible reception of initiatives or strategies from the perspective of inherently divergent stakeholders, or to analyse the motives for and expectations of risk management itself. This fundamentally reorients the perspective of risk management from facing apparent uncertainties using technical assessment tools, to using conversations devoid of fixed formulas to encounter questioned identities, indeterminate destinies, multiple and conflicting aims and myriad anxieties. Through conversations involving groups of stakeholders who have different risk perceptions, one might be able to get a better understanding of a particular risk and hence, may be, design a more effective mitigation strategy. More importantly, one may even realise that certain risks are not risks at all or others that seem straightforward have implications that would have remained hidden were it not for the conversation. …that tackle problems as wicked messes, avoid lowest-denominator consensus in favour of continued discovery of alternatives through conversation, and are instructed by metaphor rather than technical taxonomy, risk management is better able to appreciate the everyday ambivalence that fundamentally influences late-modern organizational activity. As such, risk management would be not merely a rationalization of uncertain experience but a structured and contested activity involving multiple stakeholders engaged in perpetual translation from within environments of operation and complexes of aims. As a facilitator of such workshops, the risk analyst provokes stakeholders to think about their feelings and motivations that may be “out of bounds” in a standard risk analysis workshop. Such a paradigm goes well beyond mainstream risk management because it addresses the risk-related anxieties and fears of individuals who are affected by it. This brings me to the end of my not-so-short summary of Holt’s paper. Given the length of this post, I reckon I should keep my closing remarks short. So I’ll leave it here paraphrasing the last line of the paper, which summarises its main message: risk management ought to be about developing an organizational capacity for overcoming risks, freed from the presumption of absolute control. In their book, Waltzing with Bears, Tom DeMarco and Timothy Lister coined the phrase, “risk management is project management for adults”. Twenty years on, it appears that their words have been taken seriously: risk management now occupies a prominent place in BOKs, and has also become a key element of project management practice. On the other hand, if the evidence is to be believed (as per the oft quoted Chaos Report, for example), IT projects continue to fail at an alarming rate. This is curious because one would have expected that a greater focus on risk management ought to have resulted in better outcomes. So, is it possible at all that risk management (as it is currently preached and practiced in IT project management) cannot address certain risks…or, worse, that there are certain risks are simply not recognized as risks? Some time ago, I came across a paper by Richard Barber that sheds some light on this very issue. This post elaborates on the nature and importance of such “hidden” risks by drawing on Barber’s work as well as my experiences and those of my colleagues with whom I have discussed the paper. What are internally generated risks? The standard approach to risk is based on the occurrence of events. Specifically, risk management is concerned with identifying potential adverse events and taking steps to reduce either their probability of occurrence or their impact. However, as Barber points out, this is a limited view of risk because it overlooks adverse conditions that are built into the project environment. A good example of this is an organizational norm that centralizes decision making at the corporate or managerial level. Such a norm would discourage a project manager from taking appropriate action when confronted with an event that demands an on-the-spot decision. Clearly, it is wrong-headed to attribute the risk to the event because the risk actually has its origins in the norm. In other words, it is an internally generated risk. An organizational culture that discourages collaboration between teams. These factors are similar to those that I described in my post on the systemic causes of project failure. Indeed, I am tempted to call these systemic risks because they are related to the entire system (project + organization). However, that term has already been appropriated by the financial risk community. Since the term is relatively new, it is important to draw distinctions between internally generated and other types of risks. It is easy to do so because the latter (by definition) have their origins outside the hosting organization. A good example of the latter is the risk of a vendor not delivering a module on time or worse, going into receivership prior to delivering the code. Finally, there are certain risks that are neither internally generated nor external. For example, using a new technology is inherently risky simply because it is new. Such a risk is inherent rather than internally generated or external. How common are these risks? How well are they managed? 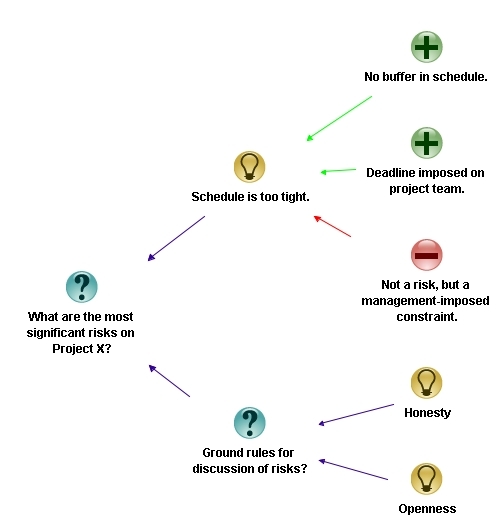 The key difficulties that project managers encountered on the projects. What they perceived to be the main barriers to project success. The aim of the one-on-one interviews was to allow for a more private setting in which sensitive issues (politics, dysfunctional PMOs and brain-dead rules / norms) could be freely discussed. The data gathered was studied in detail, with the intent of identifying internally generated risks. The author describes the techniques he used to minimize subjectivity and to ensure that only significant risks were considered. I will omit these details here, and instead focus on his findings as they relate to the questions listed above. Since organizational rules and norms are often flawed, one might expect that internally generated risks would be fairly common in projects. The author found that this was indeed the case with the projects he surveyed: in his words, the smallest number of non-trivial internally generated risks identified in any of the nine projects was 15, and the highest was 30! Note: the identification of non-trivial risks was done by eliminating those risks that a wide range of stakeholders agreed as being unimportant. 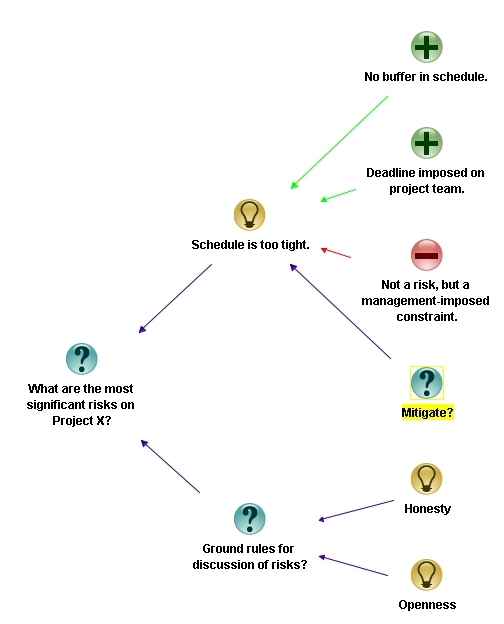 I suspect that experienced project managers would be able to name many more. Determining the significance of these risks is tricky because one has to figure out their probability of occurrence. The impact is much easier to get a handle on, as one has a pretty good idea of the consequences of such risks should they eventuate. (Question: What happens if there is inadequate sponsorship? Answer: the project is highly likely to fail!). The author attempted to get a qualitative handle on the probability of occurrence by asking relevant stakeholders to estimate the likelihood of occurrence. Based on the responses received, he found that a large fraction of the internally-generated risks are significant (high probability of occurrence and high impact). To identify whether internally generated risks are well managed, the author asked relevant project teams to look at all the significant internal risks on their project and classify them as to whether or not they had been identified by the project team prior to the research. He found that in over half the cases, less than 50% of the risks had been identified. However, most of the risks that were identified were not managed! Project management maturity refers to the level of adoption of standard good practices within an organization. Conventional wisdom tells us that there should be an inverse correlation between maturity levels and susceptibility to internally generated risk – the higher the maturity level, the lower the susceptibility. The author assessed maturity levels by interviewing various stakeholders within the organization and also by comparing the processes used within the organization to well-known standards. The results indicated a weak negative correlation – that is, organisations with a higher level of maturity tended to have a smaller number of internally generated risks. However, as the author admits, one cannot read much into this finding as the correlation was weak. The study suggests that internally generated risks are common and significant on projects. However, the small sample size also suggests that more comprehensive surveys are needed. Nevertheless, anecdotal evidence from colleagues who I spoke with suggests that the findings are reasonably robust. Moreover, it is also clear (both, from the study and my conversations) that these risks are not very well managed. There is a good reason for this: internally generated risks originate in human behavior and / or dysfunctional structures. These tend to be a difficult topic to address in an organizational setting because people are unlikely to tell those above them in the hierarchy that they (the higher ups) are the cause of a problem. A classic example of such a risk is estimation by decree – where a project team is told to just get it done by a certain date. Although most project managers are aware of such risks, they are reluctant to name them for obvious reasons. I suspect most project managers who work in corporate environments will have had to grapple with internally generated risks in one form or another. Although traditional risk management does not recognize these risks as risks, seasoned project managers know from experience that people, politics or even processes can pose major problems to smooth working of projects. However, even when recognised for what they are, these risks can be hard to tackle because they lie outside a project manager’s sphere of influence. They therefore tend to become those proverbial pachyderms in the room – known to all but never discussed, let alone documented….and therein lies the danger within. Enterprise risk management (ERM) refers to the process by which uncertainties are identified, analysed and managed from an organization-wide perspective. In principle such a perspective enables organisations to deal with risks in a holistic manner, avoiding the silo mentality that plagues much of risk management practice. This is the claim made of ERM at any rate, and most practitioners accept it as such. However, whether the claim really holds is another matter altogether. Unfortunately, most of the available critiques of ERM are written for academics or risk management experts. In this post I summarise a critique of ERM presented in a paper by Michael Power entitled, The Risk Management of Nothing. I’ll begin with a brief overview of ERM frameworks and then summarise the main points of the paper along with some of my comments and annotations. The best way to answer this question is to look at a couple of well-known ERM frameworks, one from the Casualty Actuarial Society (CAS) and the other from the Committee of Sponsoring Organisations of the Treadway Commission (COSO). … the discipline by which an organization in any industry assesses, controls, exploits, finances, and monitors risks from all sources for the purpose of increasing the organization’s short- and long-term value to its stakeholders. See this article for an overview of ERM from actuarial perspective. 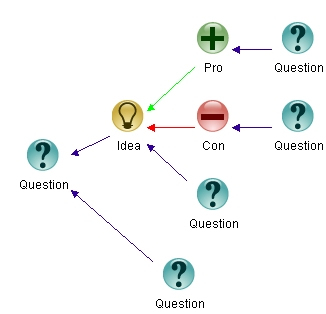 …a process, effected by an entity’s board of directors, management and other personnel, applied in strategy setting and across the enterprise, designed to identify potential events that may affect the entity, and manage risk to be within its risk appetite, to provide reasonable assurance regarding the achievement of entity objectives. The term risk appetite in the above definition refers to the risk an organisation is willing to bear. See the first article in the June 2003 issue of Internal Auditor for more on the COSO perspective on ERM. In both frameworks, the focus is very much on quantifying risks through (primarily) financial measures and on establishing accountability for managing these risks in a systematic way. All this sounds very sensible and uncontroversial. So, where’s the problem? The author of the paper begins with the observation that the basic aim of ERM is to identify risks that can affect an organisation’s objectives and then design controls and mitigation strategies that reduce these risks (collectively) to below a predetermined value that is specified by the organisation’s risk appetite. Operationally, identified risks are monitored and corrective action is taken when they go beyond limits specified by the controls, much like the operation of a thermostat. 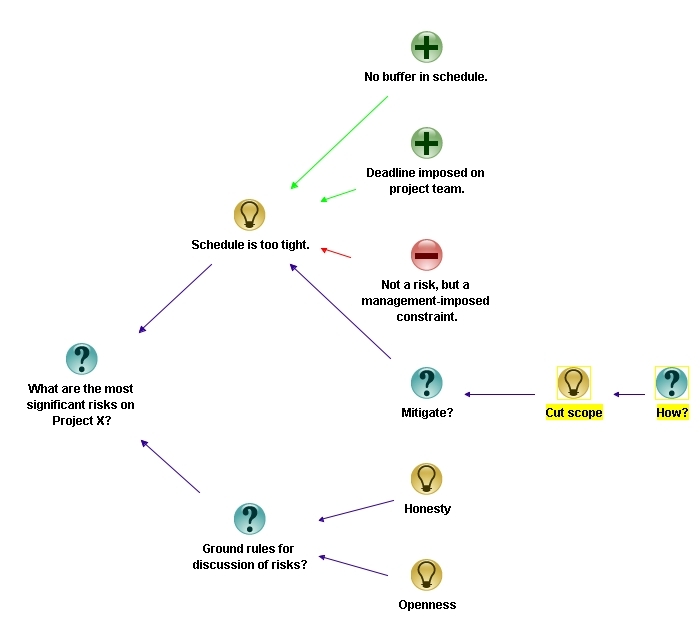 In this view, risk management is a mechanistic process. 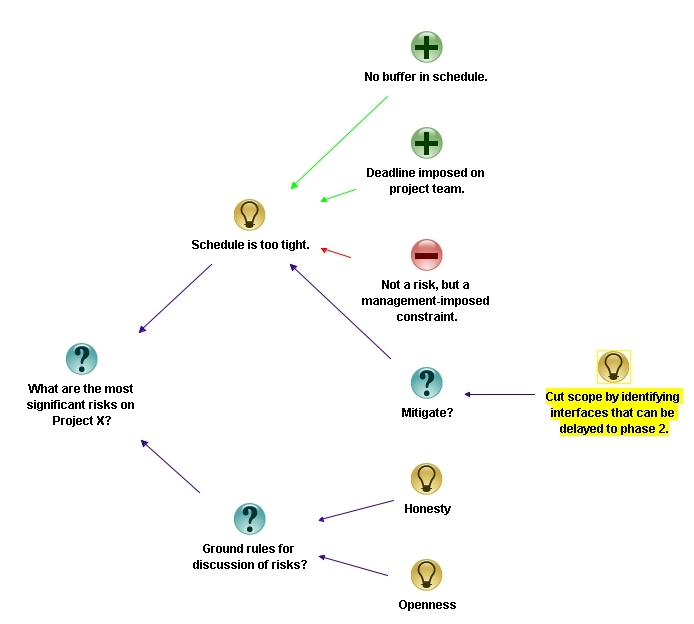 Failures of risk management are seen more as being due to “not doing it right” (implementation failure) or politics getting in the way (organizational friction), rather than a problem with the framework itself. The basic design of the framework is rarely questioned. The idea of a single, organisation-wide risk appetite is simplistic. The assumption that risk can be dealt with by detailed, process-based rules (suitable for audit and control) is questionable. The undue focus on developing financial metrics and controls blind it to “bigger picture”, interconnected risks because these cannot be quantified or controlled by such mechanisms. As mentioned earlier, risk appetite is defined as the risk the organisation is willing to bear. Although ERM frameworks allow for qualitative measures of risk appetite, most organisations implementing ERM tend to prefer quantitative ones. This is a problem because the definition of risk appetite can vary significantly across an organization. For example, the sales and audit functions within an organisation could (will!) have different appetites for risk. As another example, familiar to anyone who reads the news, is that there is usually a big significant gap between the risk appetites of financial institutions and regulatory authorities. Conceptualising risk appetising as a process might better direct risk management attention to where it has likely been lacking, namely to the multiplicity of interactions which shape operational and ethical boundaries at the level of organizational practice. COSO-style ERM principles effectively limit the concept of risk appetite within a capital measurement discourse. Framing risk appetite as the process through which ethics and incentives are formed and reformed would not exclude this technical conception, but would bring it closer to the insights of several decades of organization theory. …a conflictual and pluralistic model is more descriptive of how organizations actually work, and makes lower demands on organizational and political rationality to produce a single ‘appetite’ by explicitly recognising and institutionalising processes by which different appetites and values can be mediated. Such a process is difficult because it involves getting people who have different viewpoints to agree on what constitutes a sensible definition of risk appetite. … is fundamentally an accounting-driven blueprint which emphasises a controls-based approach to risk management. This design emphasis means that efforts at implementation will have an inherent tendency to elaborate detailed controls with corresponding documents trails. This is a problem because it leads to a “rule-based compliance” mentality wherein risks are managed in a mechanical manner, using bureaucratic processes as a substitute for real thought about risks and how they should be managed. Such a process may work in a make-believe world where all risks are known, but is unlikely to work in one in which there is a great deal of ambiguity. 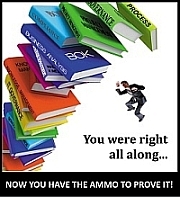 Rule-based compliance lays down regulations to be met, and requires extensive evidence, audit trails and box ‘checking’. All this demands considerable work and there is daily pressure on operational staff to process regulatory requirements. Yet, despite the workload volume pressure, this is also a cognitively comfortable world which focuses inwards on routine systems and controls. The auditability of this controls architecture can be theorized as a defence against anxiety and enables organizational agents to feel that their work conforms to legitimised principles. …the imagination of alternative futures is likely to involve the production of discomfort, as compared with formal ‘comfort’ of auditing. 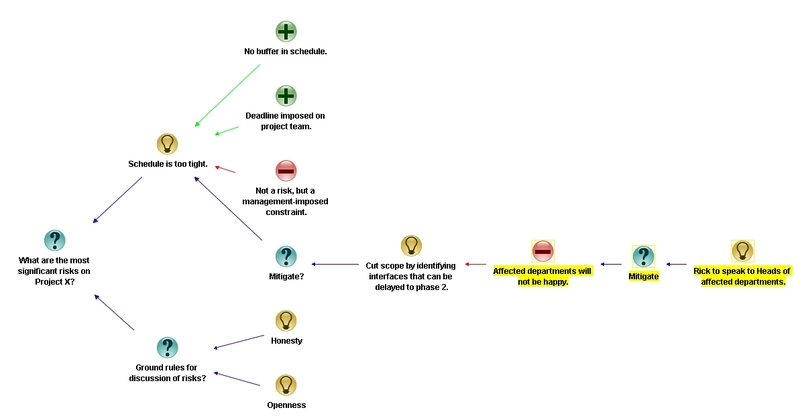 The approach can take the form of scenario analysis in which participants from different disciplines in an organization can collectively track the trajectory of potential decisions and events. The process begins as an ‘encounter’ with risk and leads to the confrontation of limitation and ambiguity. The challenge is to expand processes which support interaction and dialogue and de-emphasise due process – both within risk management practice and between regulator and regulated. This is right of course, but that’s not all: a lot of other process-focused disciplines such as project management would also benefit by acknowledging and responding to this challenge. ERM systems cannot represent embeddedness in the sense of interconnectedness; its proponents seem only to demand an intensification of embedding at the individual entity level. Yet, this latter kind of embedding of a compliance driven risk management, epitomised by the Sarbanes-Oxley legislation, is arguably a disaster in itself, by tying up resources and, much worse, cognition and attention in ‘auditized’ representations of business processes. In short: the focus on following a process-oriented approach to risk management – as mandated by frameworks – has the potential to de-focus attention from risks that are less obvious, but are potentially more significant. Power believes the flaws in ERM can be addressed by looking to the practice of business continuity management (BCM). BCM addresses the issue of disaster management – i.e. how to keep an organisation functioning in the event of a disaster. Consequently, there is a significant overlap between the aims of BCM and ERM. However, unlike ERM, BCM draws specialists from different fields and emphasizes collective action. Such an approach is therefore more likely to take a holistic view of risk, and that is the real point. Regardless of the approach one takes, the point is to involve diverse stakeholders and work towards a shared (enterprise-wide) understanding of risks. Only then will it be possible to develop a risk management plan that incorporates the varying, even contradictory, perspectives that exist within an organisation. There are many techniques to work towards a shared understanding of risks, or any other issues for that matter. Some of these are discussed at length in my book. It attempts to quantify risk appetite at the organizational level – an essentially impossible task because different organizational stakeholders will have different views of risk. Risk is a social construct. It advocates a controls and rule-based approach to managing risks. Such a prescriptive “best” practice approach discourages debate and dialogue about risks. Consequently, many viewpoints are missed and quite possibly, so are many risks. Despite the rhetoric of ERM, implemented risk management controls and processes often overlook connections and dependencies between entities within organisations. So, although risk management appears to be embedded within the organisation, in reality it may not be so. Power suggests that ERM practice could learn a few lessons from Business Continuity Management (BCM), in particular about the interconnected nature of business risks and the collective action needed to tackle them. Indeed, any approach that attempts to reconcile diverse risk viewpoints will be a huge improvement on current practice. Until then ERM will continue to be an illusion, offering false comfort to those who are responsible for managing risk. Project estimates are generally based on assumptions about future events and their outcomes. As the future is uncertain, the concept of probability is sometimes invoked in the estimation process. There’s enough been written about how probabilities can be used in developing estimates; indeed there are a good number of articles on this blog – see this post or this one, for example. However, most of these writings focus on the practical applications of probability rather than on the concept itself – what it means and how it should be interpreted. In this article I address the latter point in a way that will (hopefully!) 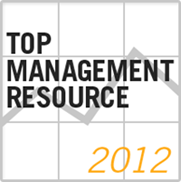 be of interest to those working in project management and related areas. Assume you’ve been asked to do a particular task relating to your area of expertise. From experience you know that this task usually takes 4 days to complete. If things go right, however, it could take as little as 2 days. On the other hand, if things go wrong it could take as long as 8 days. Therefore, your range of possible finish times (outcomes) is anywhere between 2 to 8 days. Clearly, each of these outcomes is not equally likely. The most likely outcome is that you will finish the task in 4 days. Moreover, the likelihood of finishing in less than 2 days or more than 8 days is zero. 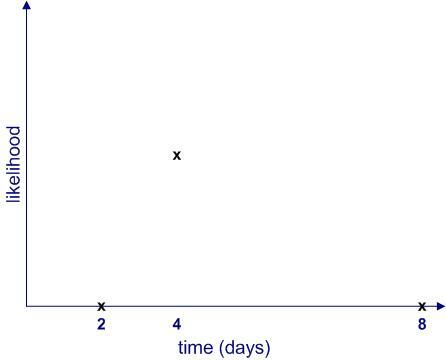 If we plot the likelihood of completion against completion time, it would look something like Figure 1. Figure 1: Likelihood of finishing on day 2, day 4 and day 8. The two questions are actually related: as we shall soon see, once we know the relative likelihood of completion at all times (compared to the maximum), we can work out its numerical value. Since we don’t know anything about intermediate times (I’m assuming there is no historical data available, and I’ll have more to say about this later…), the simplest thing to do is to assume that the likelihood increases linearly (as a straight line) from 2 to 4 days and decreases in the same way from 4 to 8 days as shown in Figure 2. This gives us the well-known triangular distribution. Note: The term distribution is simply a fancy word for a plot of likelihood vs. time. Of course, this isn’t the only possibility; there are an infinite number of others. Figure 3 is another (admittedly weird) example. Further, it is quite possible that the upper limit (8 days) is not a hard one. It may be that in exceptional cases the task could take much longer (say, if you call in sick for two weeks) or even not be completed at all (say, if you leave for that mythical greener pasture). Catering for the latter possibility, the shape of the likelihood might resemble Figure 4. From the figures above, we see that uncertainties are shapes rather than single numbers, a notion popularised by Sam Savage in his book, The Flaw of Averages. Moreover, the “shape of things to come” depends on a host of factors, some of which may not even be on the radar when a future event is being estimated. With these assumptions in hand, we can now obtain numerical values for the probability of completion for all times between 2 and 8 days. This can be figured out by noting that the area under the probability curve (the triangle in figure 2 and the weird shape in figure 3) must equal 1. I won’t go into any further details here, but those interested in the maths for the triangular case may want to take a look at this post where the details have been worked out. So now we understand how uncertainty is actually a shape corresponding to a range of possible outcomes, each with their own probability of occurrence. Moreover, we also know, in principle, how the probability can be calculated for any valid value of time (between 2 and 8 days). Nevertheless, we are still left with the question as to what a numerical probability really means. If the task is done many times over, it will always finish within 8 days. This is called the frequency interpretation of probability, and is the one most commonly described in maths and physics textbooks. It is believed that the task will definitely finish within 8 days. This is called the belief interpretation. Note that this interpretation hinges on subjective personal beliefs. Based on a comparison to similar tasks, the task will finish within 8 days. This is called the support interpretation. Note that these interpretations are based on a paper by Glen Shafer. Other papers and textbooks frame these differently. The first thing to note is how different these interpretations are from each other. For example, the first one offers a seemingly objective interpretation whereas the second one is unabashedly subjective. So, which is the best – or most correct – one? A person trained in science or mathematics might claim that the frequency interpretation wins hands down because it lays out an objective, well -defined procedure for calculating probability: simply perform the same task many times and note the completion times. Problem is, in real life situations it is impossible to carry out exactly the same task over and over again. Sure, it may be possible to almost the same task, but even straightforward tasks such as vacuuming a room or baking a cake can hold hidden surprise (vacuum cleaners do malfunction and a friend may call when one is mixing the batter for a cake). 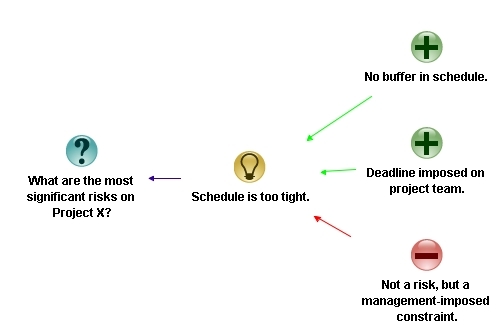 Moreover, tasks that are complex (as is often the case in the project work) tend to be unique and can never be performed in exactly the same way twice. Consequently, the frequency interpretation is great in theory but not much use in practice. This is essentially the support interpretation (interpretation 3 above). However, although this seems reasonable, there is a problem: tasks that are superficially similar will differ in the details, and these small differences may turn out to be significant when one is actually carrying out the task. One never knows beforehand which variables are important. For example, my ability to finish a particular task within a stated time depends not only on my skill but also on things such as my workload, stress levels and even my state of mind. There are many external factors that one might not even recognize as being significant. This is a manifestation of the reference class problem. So where does that leave us? Is probability just a matter of subjective belief? Subjective belief regarding task complexity and potential problems. Also, their “gut feeling” of how long they think it ought to take. These factors often drive excess time or padding that people work into their estimates. Clearly, depending on the situation at hand, estimators may be forced to rely on one piece of information more than others. However, when called upon to defend their estimates, estimators may use other arguments to justify their conclusions depending on who they are talking to. For example, in discussions involving managers, they may use hard data presented in a way that supports their estimates, whereas when talking to their peers they may emphasise their gut feeling based on differences between the task at hand and similar ones they have done in the past. Such contradictory representations tend to obscure the means by which the estimates were actually made. Estimates are invariably made in the face of uncertainty. One way to get a handle on this is by estimating the probabilities associated with possible outcomes. Probabilities can be reckoned in a number of different ways. Clearly, when using them in estimation, it is crucial to understand how probabilities have been derived and the assumptions underlying these. We have seen three ways in which probabilities are interpreted corresponding to three different ways in which they are arrived at. In reality, estimators may use a mix of the three approaches so it isn’t always clear how the numerical value should be interpreted. Nevertheless, an awareness of what probability is and its different interpretations may help managers ask the right questions to better understand the estimates made by their teams. The essential idea behind group estimation is that an estimate made by a group is likely to be more accurate than one made by an individual in the group. This notion is the basis for the Delphi method and its variants. In this post, I use arguments involving probabilities to gain some insight into the conditions under which group estimates are more accurate than individual ones. Let’s begin with a simple group estimation scenario. Assume we have two individuals of similar skill who have been asked to provide independent estimates of some quantity, say a project task duration. Further, let us assume that each individual has a probability of making a correct estimate. This is a consequence of our assumption that the individual estimates are independent of each other. What is the probability that both individuals make the correct estimate if we know that they have both made the same estimate? In the above equation, is the probability that both individuals get it right given that they have made the same estimate (which is what we want to figure out). This is an example of a conditional probability – i.e. 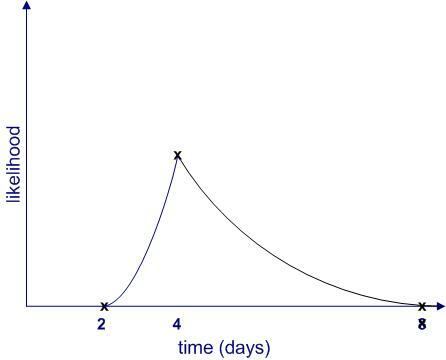 the probability that an event occurs given that another, possibly related event has already occurred. See this post for a detailed discussion of conditional probabilities. Similarly, is the conditional probability that both estimators make the same estimate given that they are both correct. This probability is 1. Answer: If both estimators are correct then they must have made the same estimate (i.e. they must both within be an acceptable range of the right answer). Finally, is the probability that both make the same estimate. This is simply the sum of the probabilities that both get it right and both get it wrong. Expressed in terms of this is, . Both individuals are good estimators – i.e. they have a high probability of making a correct estimate. We’ll assume they both have a 90% chance of getting it right ( ). Thus we see that the group estimate has a significantly better chance of being right than the individual ones: a probability of 0.9878 as opposed to 0.9. The situation is completely reversed: the group estimate has a much smaller chance of being right than an individual estimate! In summary: estimates provided by a group consisting of individuals of similar ability working independently are more likely to be right (compared to individual estimates) if the group consists of competent estimators and more likely to be wrong (compared to individual estimates) if the group consists of poor estimators. I have made a number of simplifying assumptions in the above argument. I discuss these below with some commentary. The main assumption is that individuals work independently. This assumption is not valid for many situations. For example, project estimates are often made by a group of people working together. Although one can’t work out what will happen in such situations using the arguments of the previous section, it is reasonable to assume that given the right conditions, estimators will use their collective knowledge to work collaboratively. Other things being equal, such collaboration would lead a group of skilled estimators to reinforce each others’ estimates (which are likely to be quite similar) whereas less skilled ones may spend time arguing over their (possibly different and incorrect) guesses. Based on this, it seems reasonable to conjecture that groups consisting of good estimators will tend to make even better estimates than they would individually whereas those consisting of poor estimators have a significant chance of making worse ones. Another assumption is that an estimate is either good or bad. In reality there is a range that is neither good nor bad, but may be acceptable. Yet another assumption is that an estimator’s ability can be accurately quantified using a single numerical probability. This is fine providing the number actually represents the person’s estimation ability for the situation at hand. However, typically such probabilities are evaluated on the basis of past estimates. The problem is, every situation is unique and history may not be a good guide to the situation at hand. The best way to address this is to involve people with diverse experience in the estimation exercise. This will almost often lead to a significant spread of estimates which may then have to be refined by debate and negotiation. Real-life estimation situations have a number of other complications. To begin with, the influence that specific individuals have on the estimation process may vary – a manager who is a poor estimator may, by virtue of his position, have a greater influence than others in a group. This will skew the group estimate by a factor that cannot be estimated. Moreover, strategic behaviour may influence estimates in a myriad other ways. Then there is the groupthink factor as well. …and I’m sure there are many others. Finally I should mention that group estimates can depend on the details of the estimation process. For example, research suggests that under certain conditions competition can lead to better estimates than cooperation. In this post I have attempted to make some general inferences regarding the validity of group estimates based on arguments involving conditional probabilities. The arguments suggest that, all other things being equal, a collective estimate from a bunch of skilled estimators will generally be better than their individual estimates whereas an estimate from a group of less skilled estimators will tend to be worse than their individual estimates. Of course, in real life, there are a host of other factors that can come into play: power, politics and biases being just a few. Though these are often hidden, they can influence group estimates in inestimable ways. Thanks go out to George Gkotsis and Craig Brown for their comments which inspired this post.